Pup Crawl, Saturday May 11th! 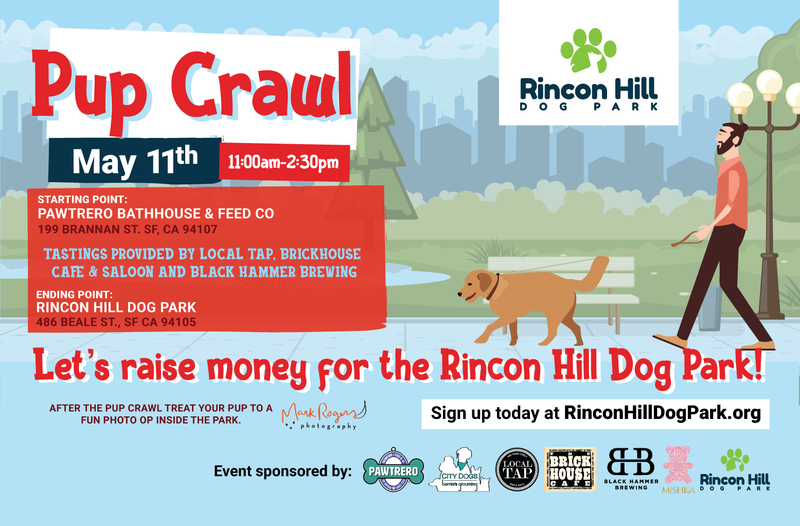 On Saturday May 11th we will be having a Pup Crawl to raise money for the Rincon Hill Dog Park. 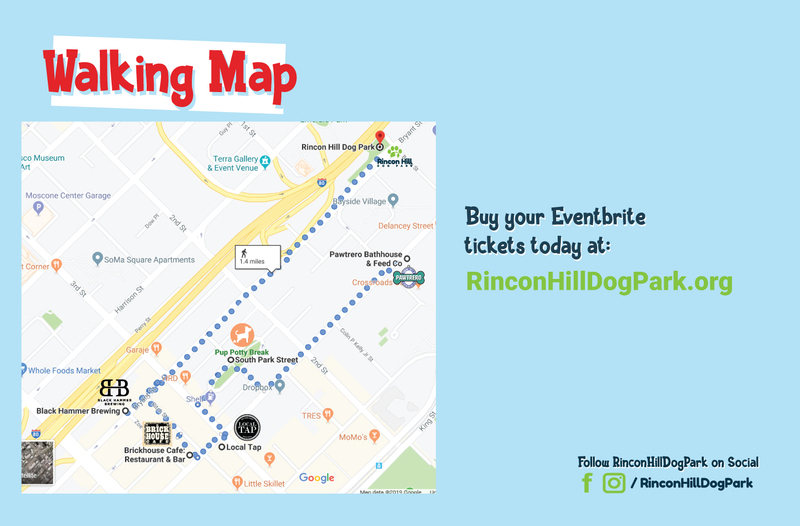 The event and registration starts at 11:00 am at Pawtrero at 199 Brannan St. between Embarcadero and Delancey Street and ends at the Rincon Hill Dog Park at 2:30pm. The guest and their dog can buy tickets on Eventbrite or at the registration table the day of the event. 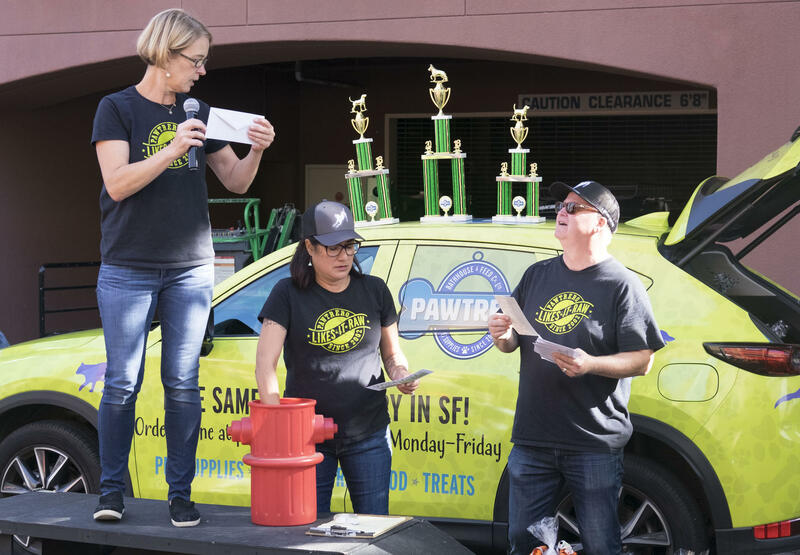 A $30 donation gets them a Pawtrero Swag Bag, Mishka Dog Cake samples and a free drink at Local Tap, Brickhouse, and Blackhammer Brewery. 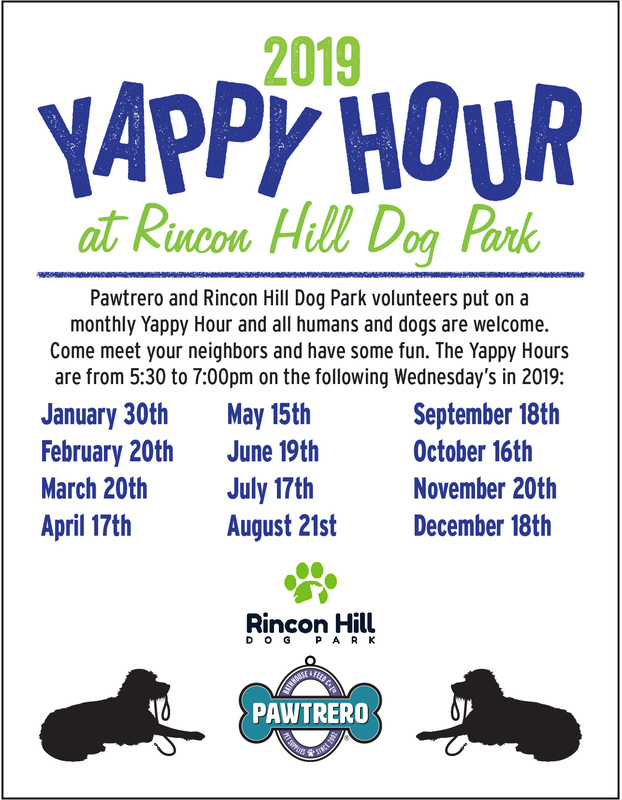 Everyone ends up at the Rincon Hill Dog Park. If they donate $55 then they also get a photo session at the park by Mark Rogers. Pints & Paws, Sunday May 19th! 2245 3rd Street, Sunday, May 19th from 12pm-3pm! 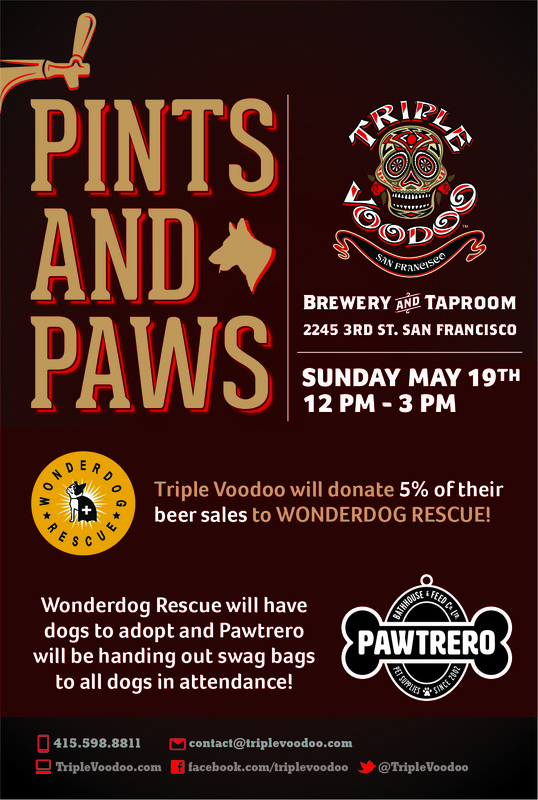 Wonderdog Rescue will have dogs to adopt and Triple Voodoo will be donating 5% of their beer sales to this wonderful rescue! Pawtrero will be handing out swag bags for all dogs in attendance. 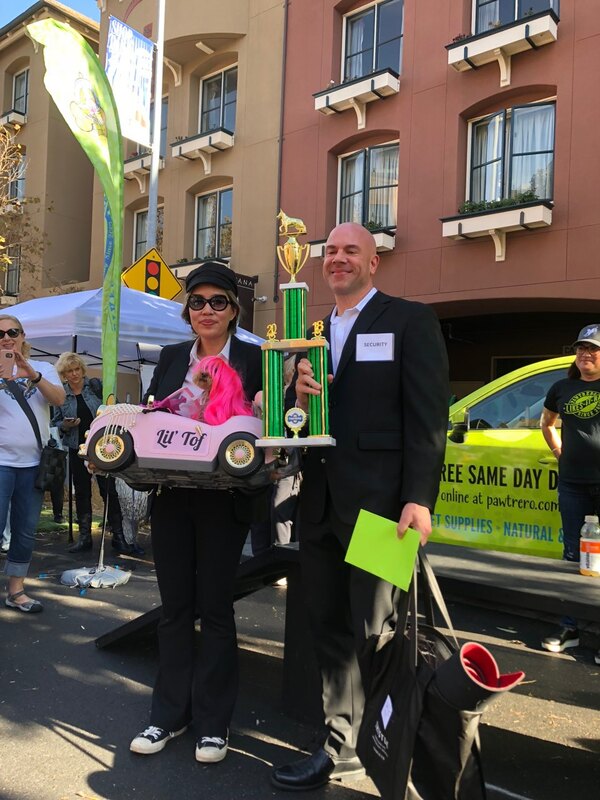 Pawtrero's 12th Annual Dog Day Afternoon 2018 was held on Sunday, November 4th and it was the best one yet! So many people and dogs (and a few cats) came out on a beautiful day to help raise awareness for the incredible rescues that were attending! 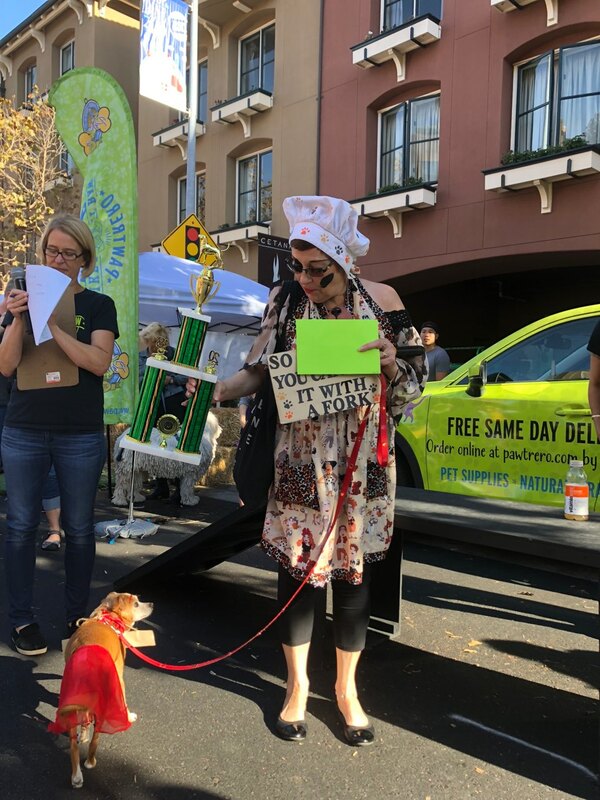 We had the most creative costumes we have ever had in the contest, the rescues also had a lot of adoptions! Everyone had fun going around to all the vendors and got lots of samples and info about some of the products sold at Pawtrero. We want to thank all of our volunteers & Erika Chan the caricaturist for donating their time to help! We couldn't do it without you!!! 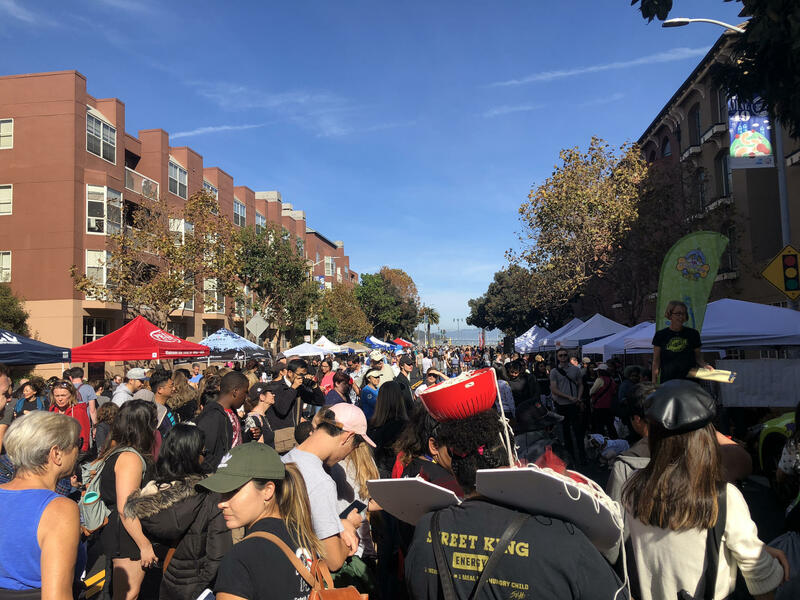 We would also like to thank the vendors and the rescues for coming out and making it the best (and largest) pet street fair in San Francisco! Thanks to our incredible DJ Jimmy Naray for providing the music and Delancey Street for the BBQ!